An Evening at La Cage offers a side of creativity that many people have not seen before seeing this show. The performers in this show are all drag queens, but these men go to great lengths to look like the most amazing drag queens you have ever seen. 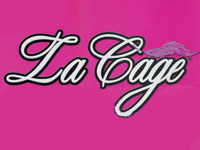 The directors of La Cage have spared no expense to ensure that the best costumes and wigs have been used. The result is simply fabulous, with most of the performers becoming a dead ringer for the actual celebrity they impersonate. The show involves comedy and lip-synched songs. 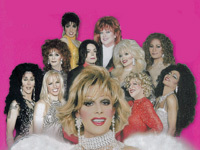 Some stars you will see on stage, being impersonated of course, include Liza Minnelli, Bette Midler, Cher, Reba McEntire, Madonna, and Joan Rivers. Older children and ages 12 to 18 are more than welcome to attend as long as they are accompanied by an adult. Due to the popularity of the show, it is recommended that you reserve your seat prior to the date you wish to attend the show. Seen the La Cage Show?